One of the most important dialogs when working with CaWE is the Material Browser. Materials are used by many tools, e.g. when new brushes, bezier patches or terrains are created or when the surface properties of such an element are edited. 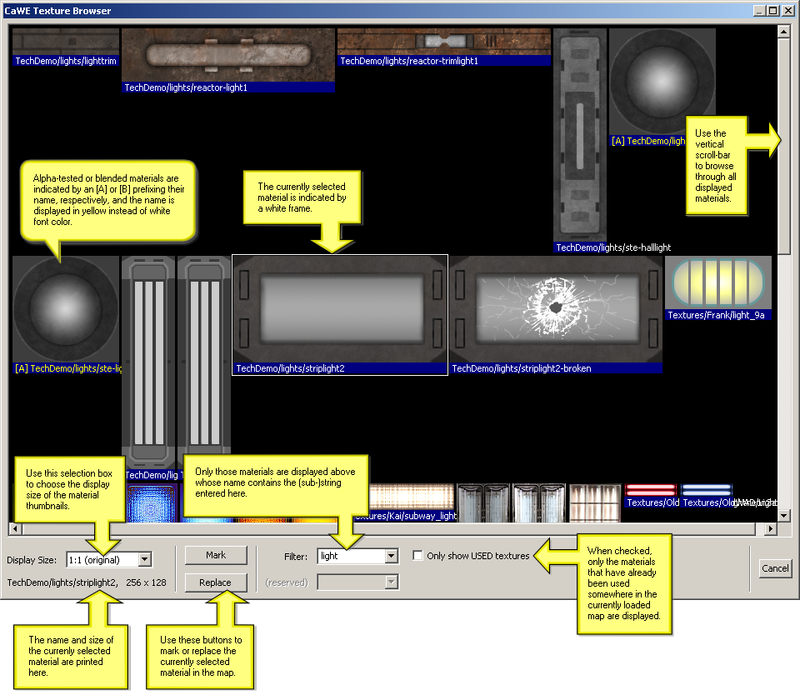 The Material Browser displays all available materials as thumbnails and allows you to select one for subsequent operations with the tools. The image to the right shows the essential buttons for opening the Material Browser. 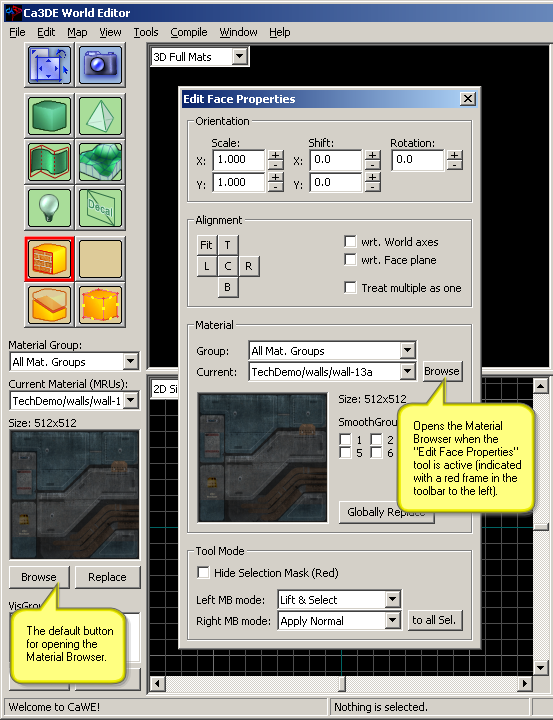 In most cases and with most tools, you'll use the default button in the left Material Toolbar for opening the Material Browser, but the “Edit Face Properties” tool has an own dialog that has its own button. Please note that when you press the Browse button for the first time during a CaWE session, CaWE has to cache-in the available materials all at once. Therefore it may take a short while until all materials are loaded. This will only happen once during a CaWE session, and pressing the Browse button another time will open the Material Browser instantly. The most essential details of the Material Browser dialog are presented in the image below.